Centennial Academy has asked the English Montreal School Board to allow more than 60 of its students to share Marymount's building in NDG. That proposal has been met by opposition from some Marymount teachers and parents, who say their school's resources are under strain. 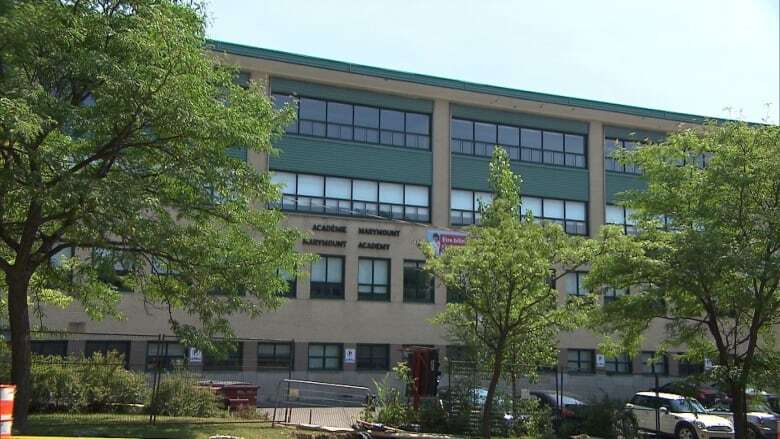 Some parents and teachers at Montreal's Marymount Academy are opposed to a plan to share their facilities with dozens of students from a nearby private school next year. The public high school, on Côte Saint-Luc Road in the Côte-des-Neiges–Notre-Dame-de-Grâce borough, shared its building last year with more than 100 Centennial Academy students in grades nine, 10 and 11. Centennial Academy, a nearby private school, has now requested to send about 60 more students in grades seven and eight to Marymount for this coming school year. The English Montreal School Board (EMSB), to which Marymount belongs, organized a meeting Monday evening to discuss and vote on the proposal. The meeting didn't happen, though, because not enough commissioners showed up. "Our primary concern today is defending the use of the resources by our own students," said Francine MacInnis, chair of the Marymount Academy School Governing Board, ahead of the meeting. 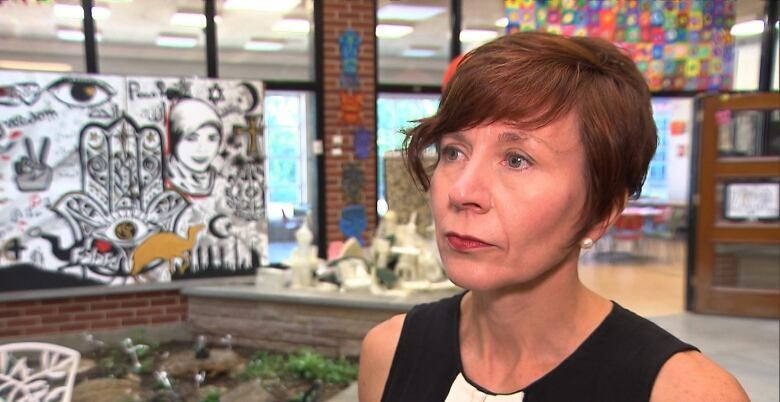 MacInnis said the governing board — which brings together parents, teachers and administrators — doesn't feel like it's been fairly consulted by the EMSB. She said the cohabitation has put a strain on resources at the school, including access to the gyms and science labs, and has led Marymount students to make compromises. Mike Bunn, a gym teacher at the school, said he opposes the plan to bring in more Centennial Academy students. Since the cohabitation began, one of Marymount's two gymnasiums has been designated for Centennial Academy students to use, he said. ​"It used to be [that] we had two separate gyms, and we were able to easily fit everything in, and now we're cut to half capacity," Bunn told CBC News. That's had an impact on extracurricular activities and sports programs at the school, he said. "They're not recognizing that we need space for our students. My students have to come first for me," Bunn said. However, Angela Mancini, chairperson of the EMSB, said Marymount has room for 1,000 students. Even with the additional 66 Centennial Academy students, the total student population will be around 600, she said. Still, Mancini said she was concerned by the pushback from Marymount. "I don't want to be in a situation where the community is feeling that there's something that is being done to disrupt them, or to hinder anything to do with their school," she told CBC News. "I am a little bit surprised — because there's only 66 students and they have the space in their school — but I think governing board has certain concerns that we have to listen to." Jonathan Goldbloom, a spokesperson for Centennial Academy, said he hopes the schools can come to an agreement. "There's plenty of room, and we're saying to Marymount, 'let's sit down and talk about how we can cohabitate,'" he said. Another meeting to decide whether the Centennial Academy students will be able to attend Marymount is expected to be scheduled for later this summer.